Thank you to Basic Invite for sponsoring this post! We cannot believe it's already the middle of March! Torey is already packing up and moving on to her next clinical and Ryan so delicately reminded me that I am almost in my third trimester- where has the time gone?! One of the things on the "baby to-do" list that kept getting pushed back was definitely my thank you notes. My baby shower is in a couple of weeks and I desperately needed thank you cards. One of my biggest struggles was finding gender neutral ones because my husband SOMEHOW convinced me not to find out the gender of our baby and do you know how hard it is to find gender neutral yet adorable baby shower thank yous?! One of the features that I love most about the Basic Invite cards is that you can customize all of the colors- including envelopes! They have so many options too- with more than 180 colors for the card and then at least 40 colors for the envelopes I literally was able to create the exact gender neutral thank you I wanted and Torey picked out her simple yet adorable thank you notes that she needed for her birthday. The best part is as you're picking and choosing, you get a live preview with all the color swaps so that you know exactly how it's going to turn out. They also have options that include foil prints which is what we did on our "She's Just My Sister" stationery and it's such a subtle yet feminine and delicate detail that we loved! It took a standard piece of stationery and added a little flare. 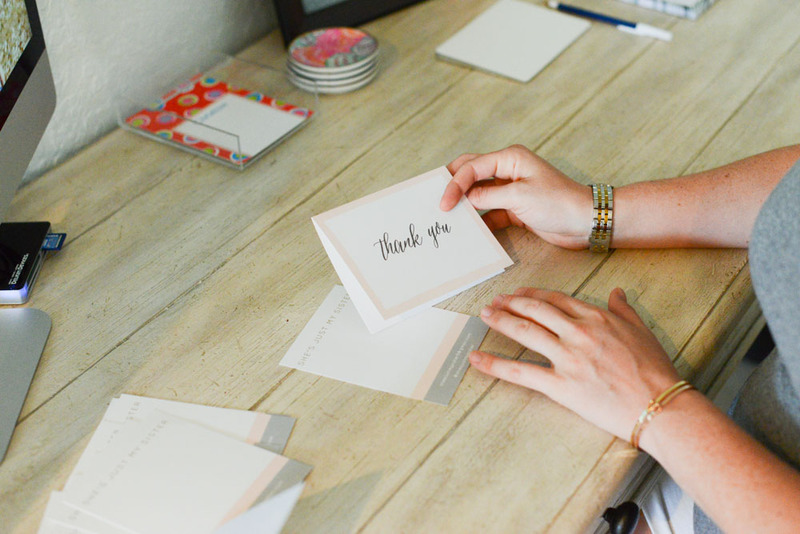 If you're working on a project that is a bigger deal than baby shower thank yous, Basic Invite also lets you order custom samples- just to double check. I truly wish I had found them when I was ordering my graduation or wedding invites because it was such an easy process and takes all of the stress away of messing something up. P.S. I totally got sucked into looking through the picture graduation cards and the graduation thank you cards (some of my favorites are above) because the photographer side of me couldn't help myself and they have SO MANY cute layouts that aren't over the top. Definitely recommending them to my senior shoot clients. Lastly, because I had personally never seen this on an invitation site, and then we promise we'll stop ranting about how great this stationery is, Basic Invite has a feature where you can share a link through social media to request family and friends' addresses and be stored in your account! I mean- does any one else have 57839 texts to go through when they start requesting addresses from friends and family?! When it comes time to order, you just simply select the recipients and all of the addresses are right there. Anyway, if you are anything like us and appreciate a really wonderful piece of stationery, Basic Invite is offering 15% off with coupon code: 15FF51 so go check them out! 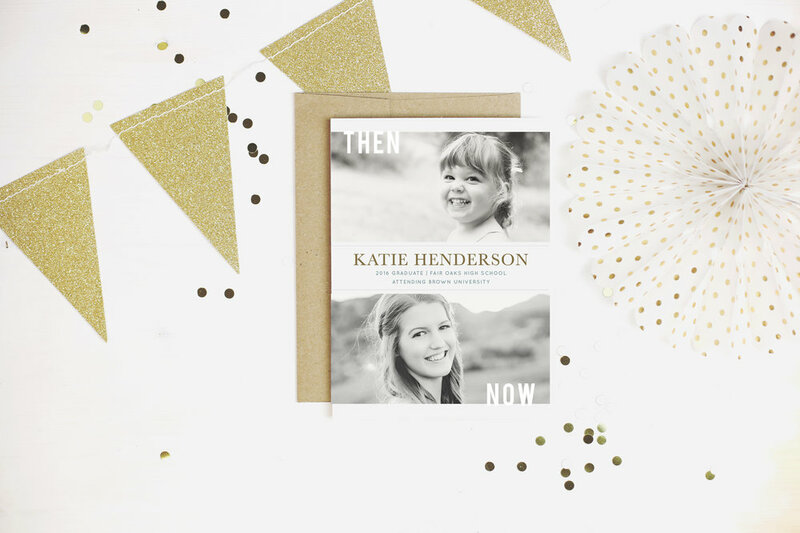 They have something for every occasion and is just so customizable- it was truly a breath of fresh air to be able to mark it off my baby to-do list.